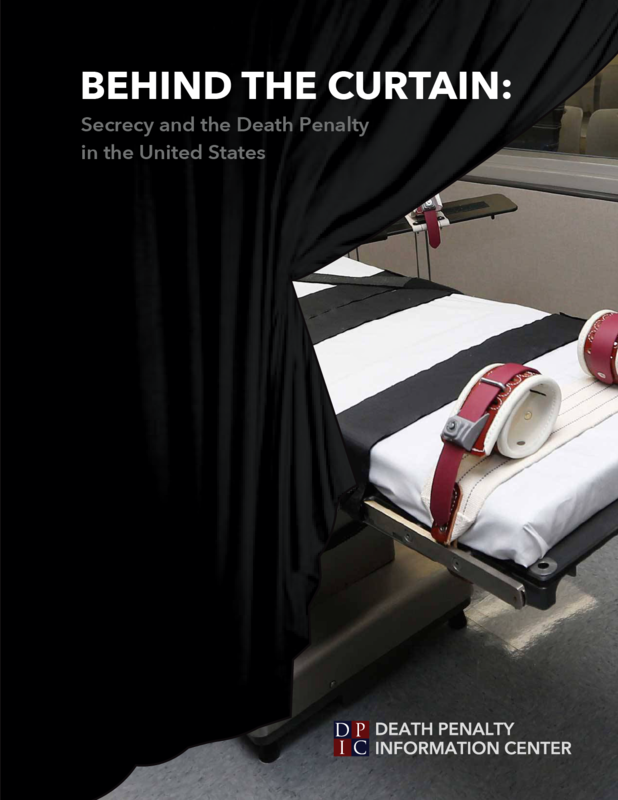 Below are reports released by the Death Penalty Information Center since its inception, covering subjects such as race, innocence, politicization, costs of the death penalty, and more. When opening a report, please allow the report page to load fully before selecting links to sections or footnotes. 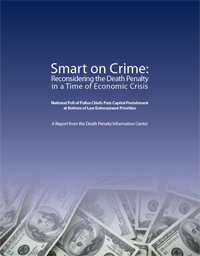 Most of these reports are also available in printed form from DPIC. For a copy of one of these reports, e-mail DPIC. For bulk orders, please download our Resource Order Form. See also DPIC Year End Reports, including the 2018 Year End Report. The states' retreat into secrecy has occurred at the same time that they have conducted some of the most problematic executions in American history. Lethal injection was supposed to be a more humane method of execution than hanging, the firing squad, or the electric chair, but there have been frequent reports of prisoners who were still awake and apparently experiencing suffocation and excruciating pain after they were supposed to be insensate. These problems have intensified with the use of new drug formulas, often including midazolam. In several cases, state officials denied that the execution was problematic, asserting that all had proceeded according to protocol. But without access to information about drugs and the execution process, there is no way the public can judge for itself. Disturbing stories of botched executions are just one sign of the need for public scrutiny of lethal injection. Investigators who have managed to uncover hidden information have found evidence of illegal actions, misrepresentations to the courts and the public, and incompetence in the conduct of executions. States have repeatedly tried to conceal controversial information about executions, including the use of illegally imported drugs, less than reputable drug sources, and unqualified executioners. Without transparency, cases of incompetence or misconduct can continue unchecked. More than one million veterans have returned from wars in Vietnam, Afghanistan, and the Middle East with symptoms of Post-Traumatic Stress Disorder (PTSD). At least 175,000 veterans of Operation Desert Storm have been affected by "Gulf War Illness," which has been linked to brain cancer and other mental deficits. Even with these mental wounds and lifetime disabilities, the overwhelming majority of veterans do not commit violent crime. But for a small but significant number, their mental wounds contributed to their committing acts of violence. An estimated 300 veterans, many suffering from combat-related mental health disorders, are on death rows across America. Many others with similar problems have already been executed. And in a disturbing number of cases, these veterans' service and related illnesses were barely touched on as their lives were being weighed by judges and juries. Veterans with combat-related psychological disorders who have committed horrible crimes present hard cases for our system of justice. The violence that occasionally erupts into murder can easily overcome the special respect that is afforded most veterans. However, looking away and ignoring this issue serves neither veterans nor victims. 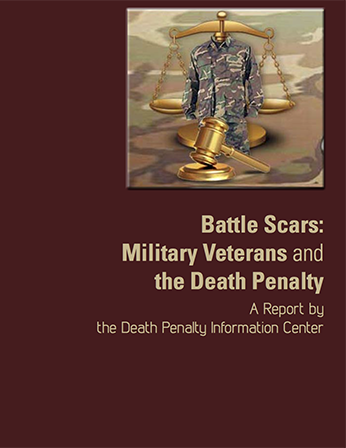 This report is not a definitive study of all the veterans who have been sentenced to death in the modern era of capital punishment. Rather, it is a wake-up call to the justice system and the public at large. As the death penalty is being questioned in many areas, it should certainly be more closely scrutinized when used against veterans with PTSD and other mental disabilities stemming from their service. Recognizing the difficult challenges many veterans face after their service should warrant a close examination of the punishment of death for those wounded warriors charged with or convicted of committing capital crimes. Moreover, a better understanding of the disabilities some veterans face could lead to a broader conversation about the wide use of the death penalty for others suffering from severe mental illness. 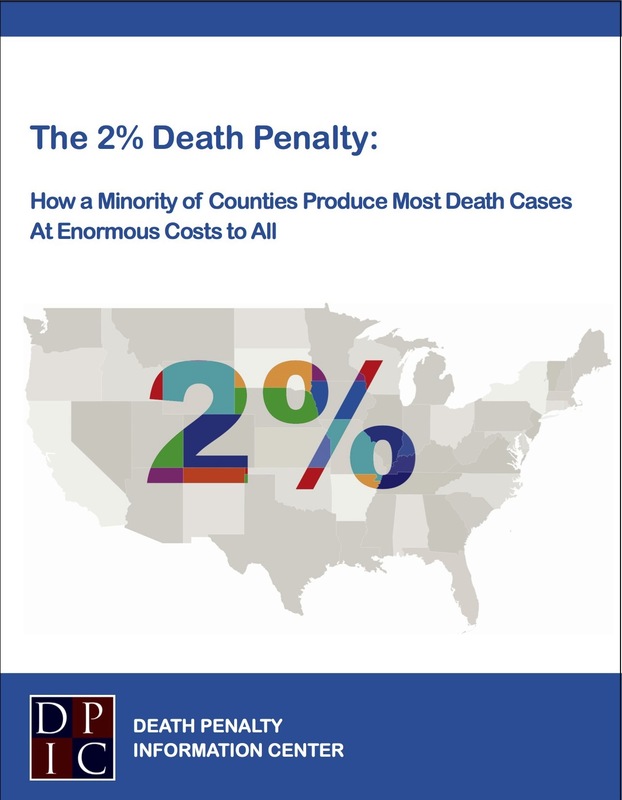 Contrary to the assumption that the death penalty is widely practiced across the country, it is actually the domain of a small percentage of U.S. counties in a handful of states. The burdens created by this narrow but aggressive use, however, are shifted to the majority of counties that almost never use it. The disparate and highly clustered use of the death penalty raises serious questions of unequal and arbitrary application of the law. It also forces the jurisdictions that have resisted the death penalty for decades to pay for a costly legal process that is often marred with injustice. Only 2% of the counties in the U.S. have been responsible for the majority of cases leading to executions since 1976. Likewise, only 2% of the counties are responsible for the majority of today’s death row population and recent death sentences. To put it another way, all of the state executions since the death penalty was reinstated stem from cases in just 15% of the counties in the U.S. All of the 3,125 inmates on death row as of January 1, 2013 came from just 20% of the counties. Each decision to seek the death penalty is made by a single county district attorney, who is answerable only to the voters of that county. Nevertheless, all state taxpayers will have to bear the substantial financial costs of each death penalty case, and some of the costs will even be borne on a national level. After three and a half decades of experience under these revised statutes, the randomness of the system continues. Many of the country's constitutional experts and prominent legal organizations have concluded that effective reform is impossible and the practice should be halted. In polls, jury verdicts and state legislative action, there is evidence of the American people's growing frustration with the death penalty. A majority of the nine Justices who served on the Supreme Court in 1976 when the death penalty was approved eventually concluded the experiment had failed. Read former U.S. Attorney Thomas Sullivan's Op-Ed citing the report. 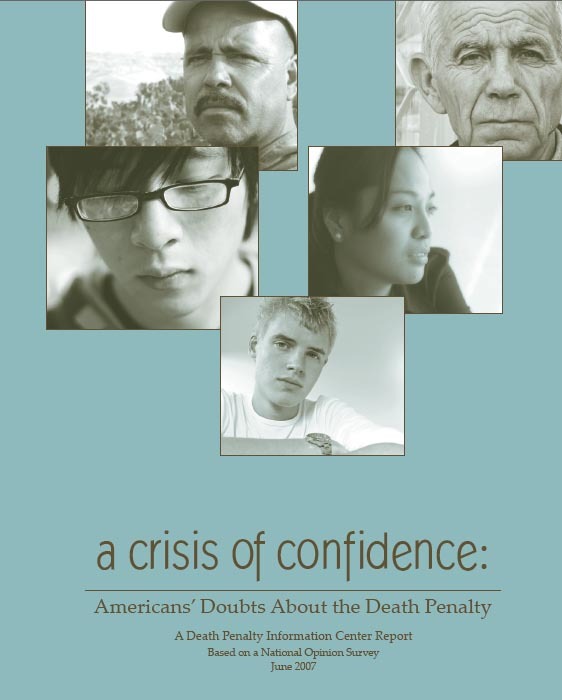 A Crisis of Confidence: Americans' Doubts About the Death Penalty. According to a national public opinion poll conducted in 2007, the public is losing confidence in the death penalty. People are deeply concerned about the risk of executing the innocent, about the fairness of the process, and about the inability of capital punishment to accomplish its basic purposes. Most Americans believe that innocent people have already been executed, that the death penalty is not a deterrent to crime, and that a moratorium should be placed on all executions. 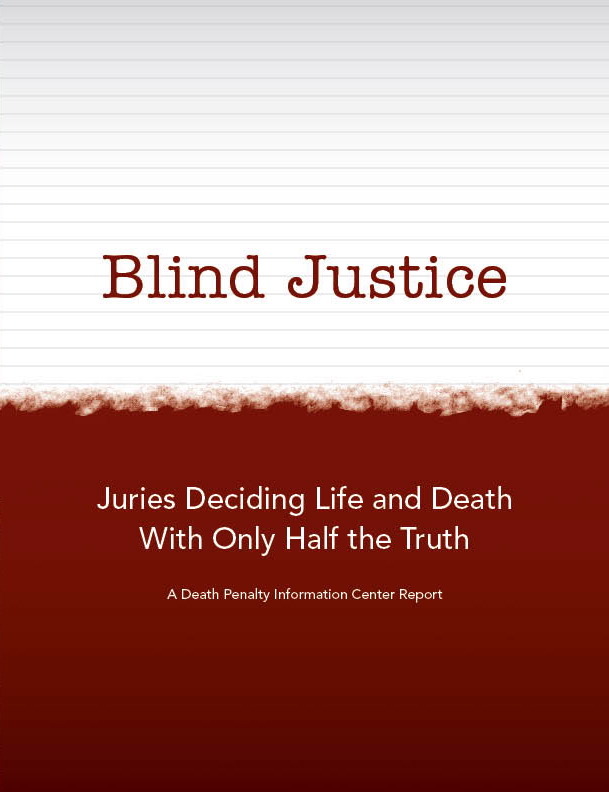 Blind Justice, the most recent report to be released by the Death Penalty Information Center (DPIC), is the first to focus on the problems of the death penalty from the perspective of jurors. While jurors have always occupied an esteemed position in the broader criminal justice system in the United States, in capital cases the responsibility of jurors is even more critical as they decide whether defendants should live or die. Even with this unique authority in capital cases, they are treated less than respectfully. Frequently, they are kept in the dark regarding key information about the case and are often barred from serving based on their beliefs or their race. 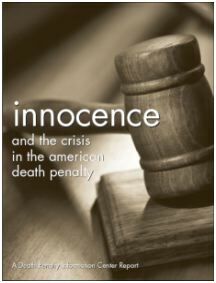 This report catalogs the emergence of innocence as the most important issue in the long-simmering death penalty debate. The sheer number of cases and the pervasive awareness of this trend in the public’s consciousness have changed the way capital punishment is perceived around the country. The steady evolution of this issue since the death penalty was reinstated in 1976 has been accelerated in recent years by the development of DNA technology, the new gold standard of forensic investigation. This science, along with a vigorous re-investigation of many cases, has led to the discovery of a growing number of tragic mistakes and freed inmates. A Costly Isolation for the U.S. The danger that innocent people will be executed because of errors in the criminal justice system is getting worse. A total of 69 people have been released from death row since 1973 after evidence of their innocence emerged. Twenty-one condemned inmates have been released since 1993, including seven from the state of Illinois alone. Many of these cases were discovered not because of the normal appeals process, but rather as a result of new scientific techniques, investigations by journalists, and the dedicated work of expert attorneys, not available to the typical death row inmate. The infusion of the death penalty into political races is reaching new extremes and distorting the criminal justice system. Although the use of death sentences to gain political leverage is certainly not new, the demagoguery aimed at escalating executions has become more pervasive. Not only are candidates for legislative office campaigning loudly on the death penalty, even judges and local prosecutors are citing the numbers of people they have sent to death row in their campaigns for office. This political promotion of capital punishment by those responsible for interpreting and implementing the law interferes with the right to a fair hearing and increases the likelihood that innocent defendants will be executed. The death penalty's arbitrary quality meant that those with the power to hurl this lightning could be influenced by personal prejudices. There was ample evidence, for example, that juries, judges and prosecutors were more likely to inflict the death penalty on African-Americans, especially if the victim in the underlying crime was white. 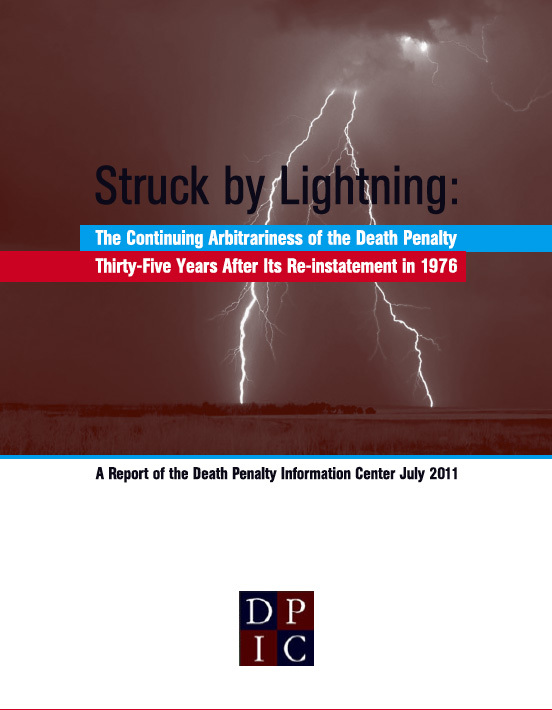 The opening created by the arbitrariness of the process resulted in a flood of cases which were all too predictable: the death penalty was used primarily against the poor, minorities, and those unable to secure competent attorneys. As executions reach record numbers in the U.S., the system of representation for those facing the death penalty is in a state of crisis. Far from the legal "dream team" assembled in the O.J. Simpson case, capital defendants are given attorneys who fail to investigate, who fall asleep during trial or come into court drunk, attorneys barely out of law school, or attorneys who say nothing when their client's life is on the line. Too many states encourage this malpractice by offering totally inadequate pay and resources for death penalty defense. States allow elected judges to pick attorneys not on the basis of experience or merit but because they will cause the least "trouble" in trying the case. Texas is the nation's foremost executioner. It has been responsible for a third of the executions in the country and has carried out two and a half times as many death sentences as the next leading state. Death warrants are being signed at an unmanageable pace, yet the Texas death row is bulging with unprecedented numbers of inmates. But this accelerated form of justice comes at a price. The rest of the country should heed the warning of the Texas experience before it embarks on a wholesale expansion of the death penalty. Racial minorities are being prosecuted under federal death penalty law far beyond their proportion in the general population or the population of criminal offenders. Analysis of prosecutions under the federal death penalty provisions of the Anti-Drug Abuse Act of 1988 reveals that 89% of the defendants selected for capital prosecution have been either African-American or Mexican-American. Moreover, the number of prosecutions under this Act has been increasing over the past two years with no decline in the racial disparities. All ten of the recently approved federal capital prosecutions have been against black defendants. This pattern of inequality adds to the mounting evidence that race continues to play an unacceptable part in the application of capital punishment in America today. It confirms Justice Blackmun's recent conclusion that "the death penalty experiment has failed." In 1972, when the Supreme Court ruled in Furman v. Georgia that the death penalty as then applied was arbitrary and capricious and therefore unconstitutional, a mjority of the Justices expected that the adoption of narrowly crafted sentencing procedures would protect against innocent persons being sentenced to death. Yet the promise of Furman has not been fulfilled: innocent persons are still being sentenced to death, and the chances are high that innocent persons have been or will be executed. Across the country, police are being laid off, prisoners are being released early, the courts are clogged, and crime continues to rise. The economic recession has caused cutbacks in the backbone of the criminal justice system. In Florida, the budget crisis resulted in the early release of 3,000 prisoners. In Texas, prisoners are serving only 20% of their time and rearrests are common. Georgia is laying off 900 correctional personnel and New Jersey has had to dismiss 500 police officers. Yet these same states, and many others like them, are pouring millions of dollars into the death penalty with no resultant reduction in crime. Misconduct by the government in the pursuit of a death sentence can take many forms. But whether it involves the use of threats and intimidation to obtain a "confession," the use of jailhouse informants who secretly enter into deals with the prosecution for their testimony, or the government's unrevealed promise of leniency for one co-defendant in exchange for his or her testimony against another, the resulting death sentence is fundamentally unfair, and cannot be tolerated in a society which honors the principle that no person is above the law. "Them without the capital get the punishment" is a well-worn phrase among those who have studied the unequal application of the death penalty in America. Poor people facing society's ultimate penalty must rely on public funds to ensure they are competently represented, as the Constitution guarantees. Yet, in more and more jurisdictions, public services of all kinds are being slashed for lack of adequate funding. Philadelphia, Pennsylvania, is one such jurisdiction--a dramatic and graphic example of a nationwide problem. Nearly 20 years after the Supreme Court held the death penalty unconstitutional--largely because of racial discrimination--the death penalty in America continues to reflect the worst aspects of our judicial system: racism, unequal treatment of the poor, a shamefully inadequate legal defense system and abuse of discretion by ambitious prosecutors and other politicians seeking higher office. The Chattahoochee Judicial District in Georgia is a microcosm of this national disgrace.